is it going to rain….? I have purchased the N96FY Anemometer from Maplin Ebay store for the tiny price of £2.49 +delivery (£3). You can purchase then through the main Maplin web site if you don’t want to go via Ebay. It rotates very easily and seems extremely sensitive to even the slightest breeze. 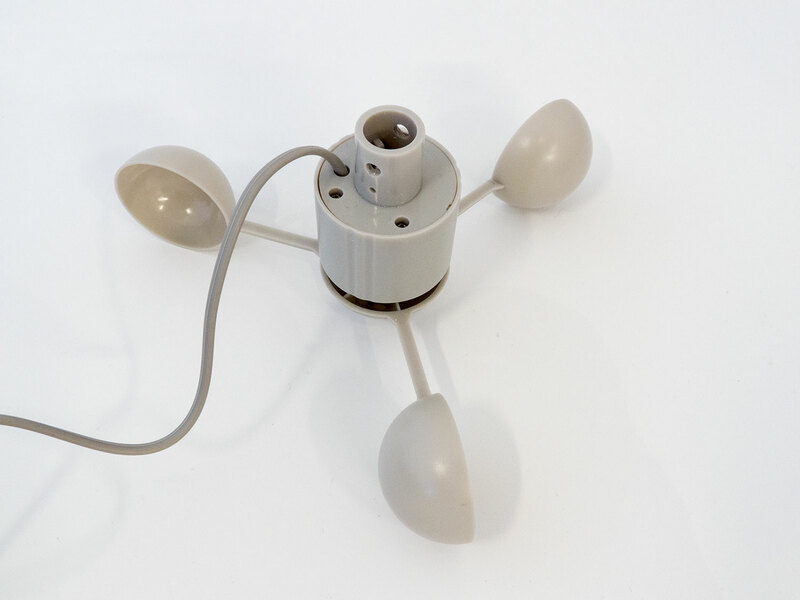 The anemometer has two reed switches in the unit, both pulse during 1 revolution. There is only 2 wires coming from the unit, so you can’t sense the reed switches separately. The radius is 70mm measured from the centre of the spindle to the centre point of the cup. A nice round number to work with. As a side note the mounting piece at the bottom is 18.5mm diameter (outside measurement). So we can round this to 0.44 metres for the circumference. So 2.72 revolutions per 1 metre per second of wind speed. Which is just over 4.54 reed pulses. So it turns out the official unit of wind speed is the Knot (who knew?). 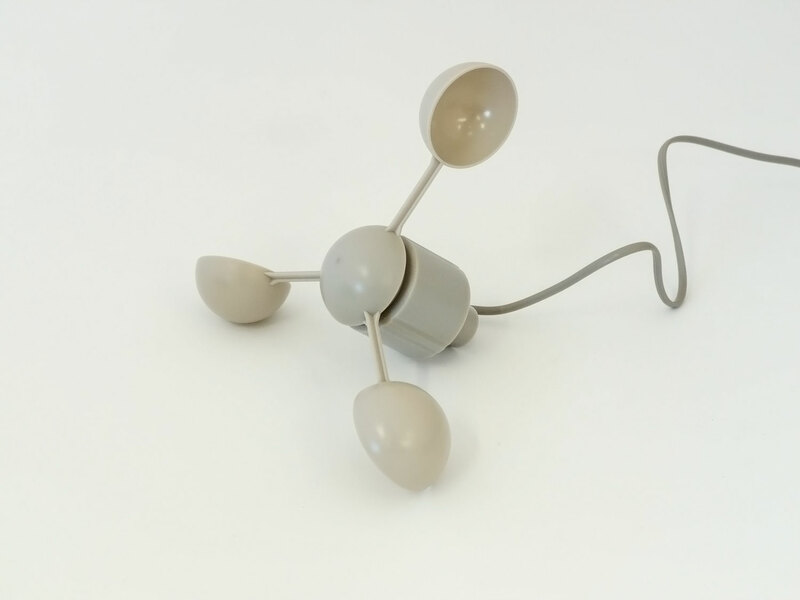 I am not terribly bothered about measuring in Knots, since it’s a unit that has little meaning to me, but the Knot wikipedia entry does provide conversion to other units of wind speed. So conversion to other units is pretty simple, just a matter of applying a multiplier, which should be easy enough in the php code.